I purchased a dress form! It has been on my mind for quite some time, so when PGM Dress Form had my size back in stock, I grabbed one. The form was purchased through their ebay store. I was outbid two weeks ago, but when I tried again last week, no one else seemed to be searching for this particular form. Lucky me! Lola is decidedly slimmer through the hip than me, but I can always pad her. And she does not have my squishy bits, but I will not hold that against her. And, unlike me, she does not mind pictures taken of her naked form. But to keep things from getting too scandalous, I put a slip on her. Someday I hope to have a Wolf Form made to my measurements, but at this point, that is about as likely as owning these shoes. 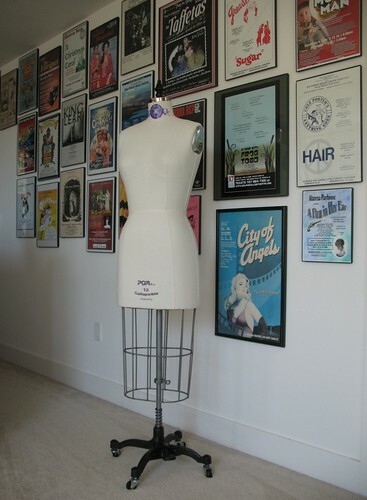 I keep waiting for the excitement to pass, but every time I walk by her, I giggle - I finally have my very own dress form! Congrats. I too got one because as part of a couture course we were offered the chance to measure and pad out a dress form. 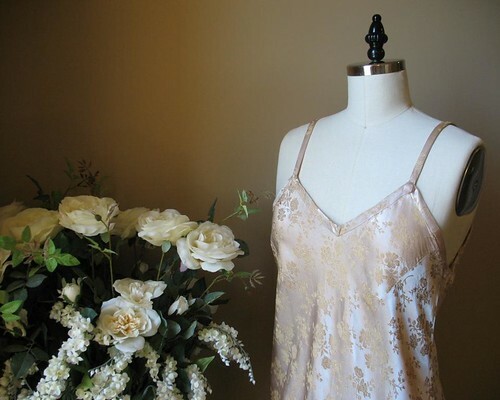 It was quite easy to do, using an old bra and wadding and a curved needle to sew through the layers. I am now making a cover for it. It's a great investment and i would say definitely pad out the top and the hips if you want to use it for fittings. Congratulations, LM! I predict a very fruitful relationship. That's awesome, many happy congratulations! I really hope you two have tons of fantastic years together! I just got one too! Padded it out and sewed a cover and now my latest project is hanging off it. So much easier to adjust a pattern when I'm not pinning it to myself! Lola! Its funny how we all name them. Mine's Annie. oh yea! dress forms really do make things easier. I love mine, even though were not quite the same size either. its close and really it helps to see something being worn sometimes to get the pattern and fit just right. have fun with it and congrats. Ooh, I just bought mine last year from PGM, and finally padded it out a couple of weeks ago with batting for the hips. It's so much more couture-feeling than my old dial-a-form, which had fallen apart after 17 years. Enjoy! I hope you both have an ongoing relationship. Enjoy. Ooooh, looks like a good one! I will have to look at this website pronto as I am desperate for a dress form. I just finished hemming a dress to the WRONG length (too short, of course and already cut it) due to the fact that it is just too difficult to measure on yourself by yourself.